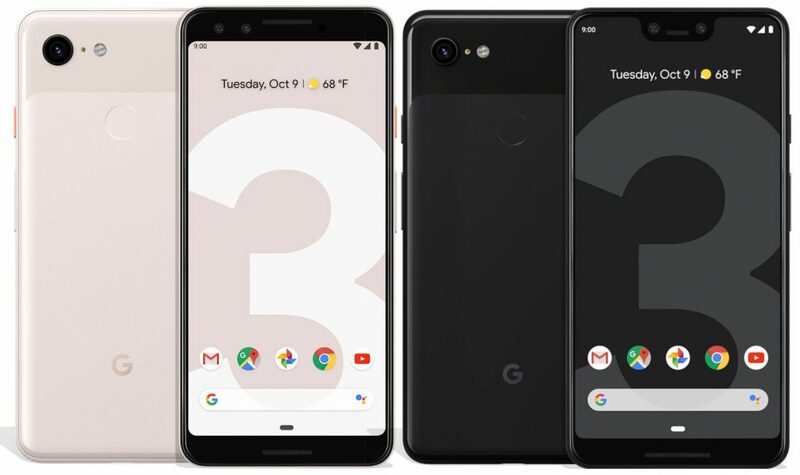 Google has introduced Google Pixel 3 and Pixel 3 XL smartphones. 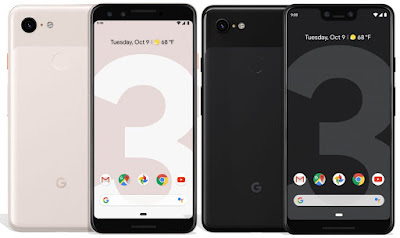 Google Pixel 3 has a 5.5-inch Full HD+ display with 18:9 aspect ratio, Pixel 3 XL comes with a 6.3-inch Quad HD+ display with a 19:9 aspect ratio and a notch. Both are powered by Snapdragon 845 processor with 4GB RAM and 64/128GB internal storage. Both Phones come with a 12.2-megapixel rear camera with LED flash, Optical Image Stabilization (OIS) and Dual Pixel autofocus, and comes with dual rear 8-megapixel cameras, one with 97-degree wide-angle lens for group selfies. These come with new AI-powered camera features. Top Shot – AI based feature that captures multiple shots to pick out the best photo, Super Res Zoom – Produces sharp details when you zoom, Night Sight – Lets you take bright, detailed, colorful shots even in low light .Photobooth mode – Uses AI to recognize that when you’re smiling or making a funny expression, you’re ready for a selfie. Both Phones come with Corning Gorilla Glass 5 on the front and back. These also have IP68 ratings for water and dust resistance. Both run Android 9.0 (Pie). These have Titan Security, the system that protects most sensitive on-device data by securing the lock screen and strengthening disk encryption. Google Pixel 2 is packed by 2915 mAh and Pixel 3 XL has 3430mAh Battery Both has support for fast charging as well as wireless charging. Pixel 3 and Pixel 3 XL come in Clearly White, Just Black and Not Pink colors and come with Google Pixel USB-C earbuds in the box. Pixel 3 is priced at $799 for 64GB and $899 128GB version. The Pixel 3 XL costs $899 for 64GB Storage and $999 for 128GB version The Pixel Stand with 10W charging costs $79 (Rs. 5,850 approx. )These are available for pre-order in the US from today. In India, pre-orders start from October 11th and Sale from November 1st. Price Rs 71,000 for 64GB Storage and Rs 80,000 for 128GB whereas Google Pixel 3XLcost Rs 83,000 for 64GB and Rs 92,000 for 128GB Storage.